Ever wonder what car to buy? Well, aside from the looks and the interior, one of the most important things to consider on this huge investment is which transmission to choose. This will affect the way you use your car and on which transmission you are comfortable with. 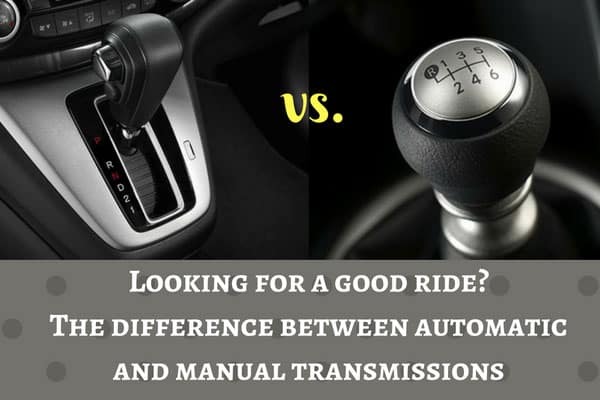 As of today, the two main transmissions are automatic (A/T) and manual (M/T). There are pros and cons on both of them and in the automobile market today, the A/T is slowly dominating newly released models. Although some new models still have M/T versions as well. Automatic Transmission, from its own name, allows you to drive your vehicle without having to switch gears. Basically, what you have to think about is the road, the steering wheel, and the gas and brake pedals. You would only have to turn the stick shift if you would need to drive or reverse. For the Manual Transmission, there is always a need to change gears according to the road and turning conditions. You would have to step on the clutch every time you need to switch gears and that takes a lot of practice to perfect. You would have to think about the road, the steering wheel, the gas, break and clutch pedal, and also the 7-gear stick shift. When it comes to price, M/T vehicles are always cheaper. You would notice that the price is around a thousand bucks cheaper. In the long run, M/T vehicles require lesser service too that’s why maintenance for this transmission could actually cost you lesser as well. For maintenance, ask your neighbor mechanic and they will tell you that M/T gear boxes are easier to manage and work with compared to A/T gears. They ask for a larger price if the affected vehicle is on A/T because of their trickier mechanics. Basically, choosing between the two depends on your budget and comfort. If you like to be challenged on the road with switching gears and also want to save money, go for the M/T. Otherwise, go get yourself an A/T and you’ll surely get to your location in a jiffy.